Tucker Wayne is a freelance agent. He has no shingle hanging outside his office proclaiming that profession for a couple of good reasons. First, he has no office, or home, or permanent place of residence as he is far more interested in just moving about. Second, he has no real job or a desire for one any more so to say he earns his living as a freelancer is not really true. He just picks up the odd job here or there and on occasion that means doing something for Sigma Force. Other times it might be as a security consultant. And on more than occasion, it is just stopping nasty people from doing nasty things. In one adventure when finances required him to act as a bodyguard, he summed up his actions by musing "his job was to protect the bad from the worst". For many years he served honorably in the U.S. Army Rangers, rising to the rank of Captain. His specialty was tracking and he was very, very good at it. He was taught well how to be extremely observant and to see tracks and other signs of passing where very few would notice anything. He learned that just seeing was not enough, though, as it was necessary to think like those he was stalking. Where would they go or hide? What would they do or plan? Figuring out where the intended would likely be helped greatly when on the hunt. Also helping even more is the incredibly gifted dog, Cain. A Belgian Malinois, aka Belgian Shepherd, Cain had been with Wayne for many years and together they comprised one highly effective team. Originally the twosome had been a trio, the third part that of Cain's litter-mate, Abel but that dear comrade was severely injured during a mission and Wayne was forced by approaching combatants to leave his dying friend behind, something that continues to haunt him. Since then, it has been just the two, friends and partners and a team. "They'd worked together, eaten together, even bunked together." When Wayne finally decided, as he entered his 30s, that he had served enough in the military, he said his goodbyes and left, taking Cain with him. It was not strictly permitted but he did it anyways. Since then he has taken the occasional odd job as funding forced him or inclination took him but mostly they roam the world and take what life pushes their way. 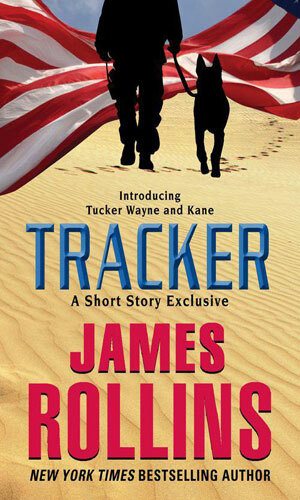 We get introduced to Tucker Wayne in a terrific novella (mentioned below) but the first full adventure we follow Wayne and his companion, Cain, on is in the Sigma Force series. It would be a couple years later that we get a solo mission, albeit one that is presented to him by Sigma. That establishes two important facts - he has some good friends to call upon if he needs them and he would much rather go it without the help. Tucker Wayne was not looking for a job but it found him anyways when Sigma Force asks him to travel across Russia to find a pharmaceutical billionaire with a revolutionary discovery and get him out of the country while a powerful individual throws a lot of people against them. The woman was fleeing three armed men. Tucker Wayne and Kane were in Budapest for no particular reason until they came across her and her pursuers and suddenly they had a purpose. It would involve treasure, treachery, and Nazis and could well get them both killed. Oh, my, how I do love this series. 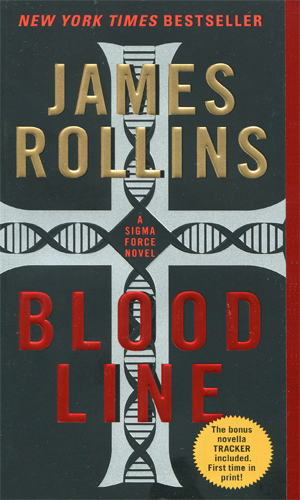 First, it is created by the terrific James Rollins and he has a special inside track at making a series about a man and a dog exceptionally realistic and believable, having been a veterinarian for so many years. That and he is a fantastic writer with a great imagination and an impressive skill at putting his ideas on paper. I have enjoyed his Sigma Force books for years. 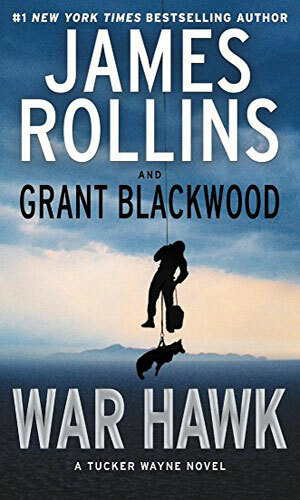 Mr. Rollins created the characters and introduced us to them in a novella followed by a starring role in one of the Sigma Force adventures but then he handed the reins to Grant Blackwood who already had an impressive resume with contributory work on a couple of great series as well as his own much appreciated (by me) Briggs Tanner adventures. Its like one future hall-of-fame pitcher handing the ball to another future member. Not likely to go bad! 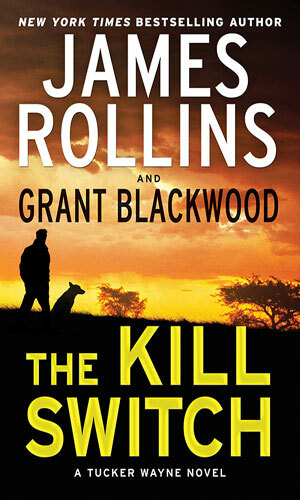 I know I am gushing a bit but when you read, or listen to, this series, I figure you would be as well. It really is that good and I for one am hoping that Wayne and his remarkable dog, Cain, will keep us adventuring for some time to come.